Add up to 30 vitamins, minerals, and nutrients to your diet with every shake of Sneaky Greens. Sneaky Greens’ healthy spices blended with organic kale contain up to 30 vitamins, minerals, and nutrients per serving, which makes it easy for you to sneak more superfood benefits into every bite. It's perfect for everyday use, too—simply use Sneaky Greens just like you would any of your other essential spices, no matter how you like to use them. Sneak more kale into every bite. 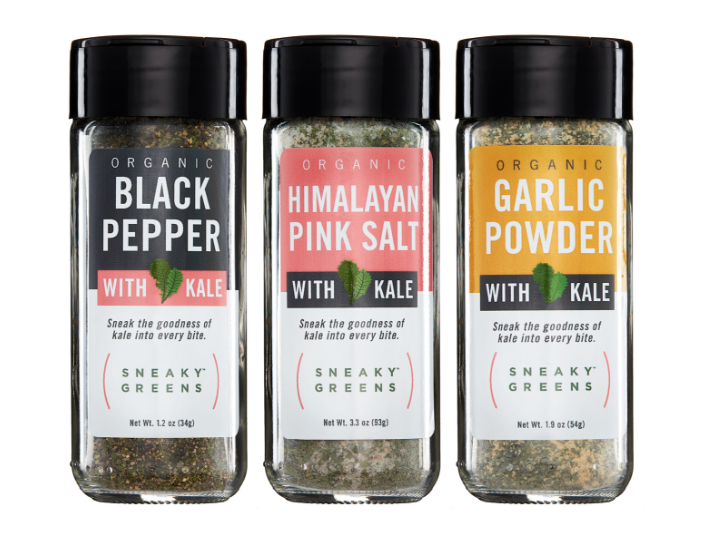 By blending simple ingredients—fresh, quality, organic spices and nutrient-rich organic kale—Sneaky Greens is on a mission is to be a delicious and better-for-you alternative to your everyday spices. Just two ingredients. Never anything else.